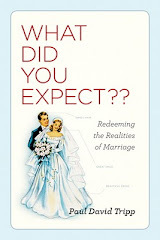 While I usually appreciate Dr. Fillmore’s perspective I often have the urge to say “Yes, but where does God fit into your advice?” To say that “Monogamy is not a natural state, and that we aren’t necessarily set up to stay with one person for the rest of our lives” seems to be a direct contradiction to God’s covenant view of marriage. I also take issue with the notion that it is “normal” to fall in and out of love in a long term marriage. God tells the husband to love his wife in the same way that Christ loved the church. The church is the bride of Christ. At what time in our long term relationship has Christ fallen out of love with us? I certainly don’t question her premise that when a marriage is struggling, hope can be the pathway to a more joy filled marriage. The question is “where does our hope come from?” Psalm 62:5 would say that our hope comes from the Lord. In fact all of Scripture is a book of hope. It is God’s love story, His redemptive plan for those He cherishes. Dr. Fillmore says that “Hope is the first step on the path to a happy marriage”. I believe the first step is to put God at the center of your marriage. 1Corinthians 10:31 tells us that whatever we do we are to do it for the glory of God. If the couple’s focus becomes how we can best glorify God in all that we do, I guarantee you will have hope, joy and peace. You will not fall out of love.